This solid white gold set is available in 14 or 18k white gold. The engagement ring contains a 1/2 carat pear shape diamond and 28 accent diamonds on the leading edge. The wedding band slides over the engagement ring and ’embraces it’ and also contains 13 accent diamonds. The men’s band matches the ladies and contains 12 accent diamonds. 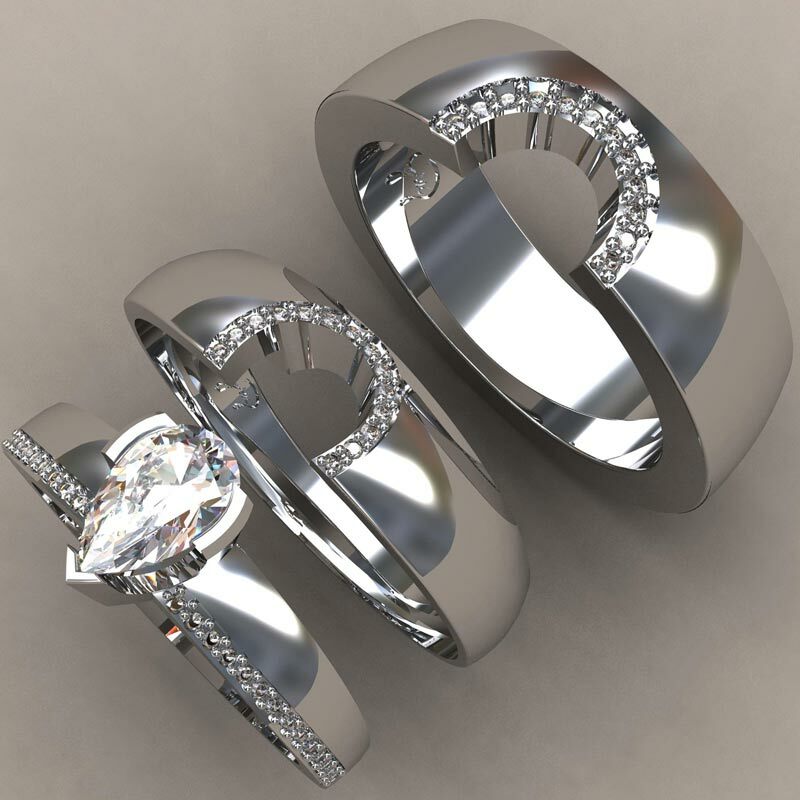 Watch the video to see how the rings embrace.